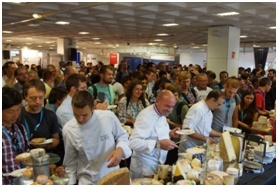 The fourth edition of the International Soft Matter Conference (ISMC) took place in Grenoble, France, last week. The conference covered both the fundamental and applied aspects of soft matter and complex systems. 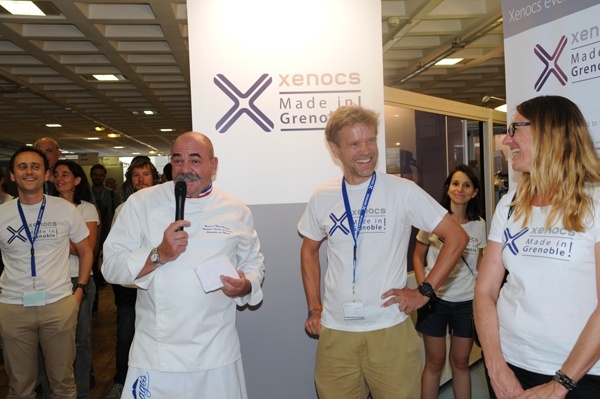 It was a great opportunity for all the team at Xenocs - also based in the Grenoble area - to come to the congress and welcome the 650 scientists from all over the world attending the congress. 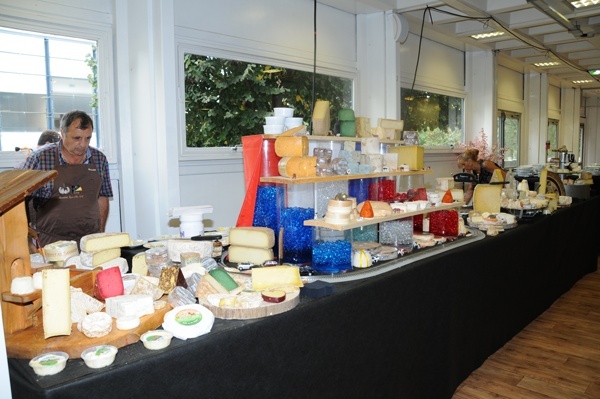 For the occasion, Xenocs organized a Welcome Wine & Cheese party on the first evening of the Congress, with World Champion Cheese maker, Meilleur Ouvrier de France, Bernard Mure-Ravaud from the Fromagerie ‘Les Alpages’, Grenoble. 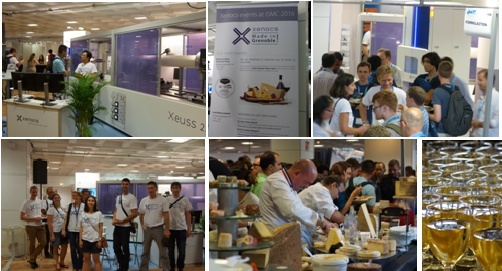 The event took place next to Xenocs booth on which the company had brought both a Xeuss 2.0 HR SAXS/WAXS system and a Nano-inXider which raised much interest among the participants. Xenocs also organized a lunch time session on Tuesday 13 September entitled ‘SAXS/WAXS for soft matter studies’ which got a large audience. 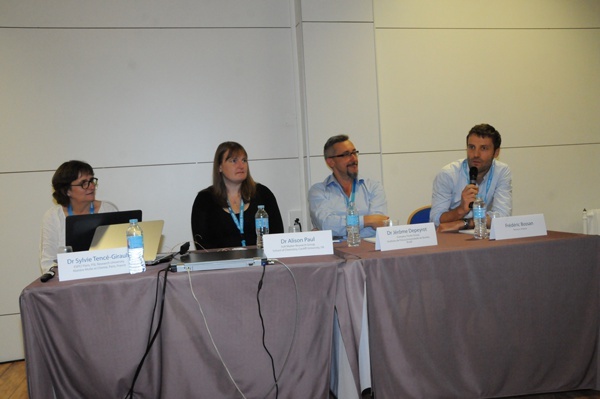 The three guest speakers of the seminar - Dr. Sylvie Tencé-Girault from ESPCI Paris,France, Prof. Dr. Jérôme Depeyrot from the University of Brasília, Brazil, and Dr. Alison Paul from Cardiff University, UK - presented some examples on how they are using SAXS & WAXS in their research studies. This illustrated how SAXS/WAXS is a strong & proved technique for studying soft matter.